POLITICS AS UNUSUAL.“A subterranean divide among Democrats between backers of teachers unions and those of charter schools and other education innovations is helping shape key gubernatorial primaries…” so reports the AP. Charter schools and edreform have long been backburner issues in political campaigns, but in some places a tipping point has been reached. In Colorado, for example, tension has been building over education for months; activists tried to forbid the group Democrats for Education Reform, which backs candidates who support innovations like charter schools and evaluations, from using the party’s name in its title. Some of this strife is being driven the teachers unions. Read more here. PERSONALITY POLITICS. The NY Times posits that because EdSec Betsy DeVos is allegedly such a polarizing figure her support for charter schools actually does more harm to the charter movement than good. “One survey of views on charter schools found… …the president and his education secretary are so disliked by liberals that some will automatically reject whatever they endorse.” While that isn’t surprising, it is unfortunate and has spawned a narrative of negativity that is doing a terrible disservice to charters specifically and ed opportunities and innovations generally. SOMEBODY’S GOTTA STAND UP. Last week The Las Vegas Review-Journal ran a piece about how Nevada’s Clark County School District had created a new marketing position to sell the district’s schools to parents and slow the exodus of student to charter schools. We responded with a letter to the editor, which reads in part “The [district’s] goal should not be ‘How do we convince families not to leave?’ It should be ‘How do we provide learning experiences and results that make them want to stay?’ Read the letter in its entirety here. AND WHILE WE WE’RE AT IT. How do we say this politely….? We’ve just about had it Valerie Strauss’ attempts at journalism, and with the people she quotes and whose opinions she offers up as “proof” that public education is under attack by dark forces who want to “privatize” schools. So we fired off a letter to The Washington Post too. CONFIRMATION. One of the comments you often hear from parents who choose to send their children to charter, or private schools is the simple desire to ensure their kids are safe – which, sadly, is often not the case in the schools that many children attend. But are those desires met? According to an analysis of the second-year results of the federal evaluation of the D.C. Opportunity Scholarship Program (the federally funded scholarship program that allows low-income families in D.C. to use public education dollars to cover private-school tuition for their kids) by The Hill, the answer is a resounding yes! Get the facts. GOOD NEWS? Later this month the Baltimore School Board will consider applications for six new charter schools. Unfortunately, the same school board has consistently cut its budget for the city’s existing 34 charter schools (which serve about 20 percent of Charm City’s 80,600 public school students). Adding insult to injury, there’s a new funding formula that has charter schools paying the district millions of dollars for services previously covered by the school system. Nicole Harris-Crest, ED of the Maryland Alliance of Public Charter Schools, said the cuts and new rules made for a pretty tough environment for starting a charter school. “But,” she added, “it adds additional people to the movement to fight for equitable funding.” It’s time the state legislature or the courts step in to make to make the playing field more level for charters and traditional public schools alike. ON CHEERIER NOTES. Check out these two stories on charter schools. First the CBS Morning News on Basis Independent Silicon Valley, which has captured the top five spots on U.S. News and World Report’s list of the best high schools and where students are required to take at least seven AP courses, beginning as early as eighth grade (and some take as many as 20). And do yourself a favor by reading “A change of schools changed everything” by valedictorian of the 2018 graduating class of PACE Career Academy in Allenstown, NH. It’s a great personal testament to all the things that are the foundation of innovations and opportunities that are charter schools. TIME FOR A REALITY CHECK. In a lifetime of amassing experiences and diverse avenues of success, Bill Walton, founder and chairman of the private equity firm Rappahannock Ventures, has been driven by one defining theme, “I’ve always been interested in the barriers to change.” A lifelong learner, Bill is an entrepreneur, education reformer, supporter of the arts, and is a feature film and documentary producer. Bill and his wife Sarah developed an entire French and Spanish language curriculum, Language Odyssey. Since then, he has been passionate in the belief that, “A free market in education rather than government-run schools is the ideal system for every child to flourish in.” Listen online at https://edreform.com/realitycheck/. TICK-TOCK. The clock’s winding down, and decisions are being handed down, as the end of this session of the Supreme Court draws to a close. Before it’s all over there’ll be a decision on Janus v. AFSCME which, if it goes as anticipated (in favor of Janus) will have a huge impact on the power of the teacher’s union. For all the latest news, and up-to-the-minute comment, visit edreform.com or go to https://standwithworkers.org/. Don’t forget! Meet us in Miami Oct. 25-26 for our Silver Anniversary Summit + Celebration. More info at edreform.com. 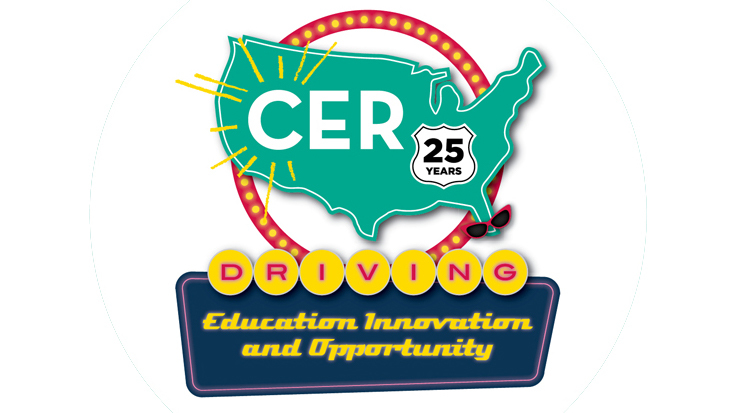 Founded in 1993, the Center for Education Reform aims to expand educational opportunities that lead to improved economic outcomes for all Americans — particularly our youth — ensuring that conditions are ripe for innovation, freedom and flexibility throughout U.S. education.